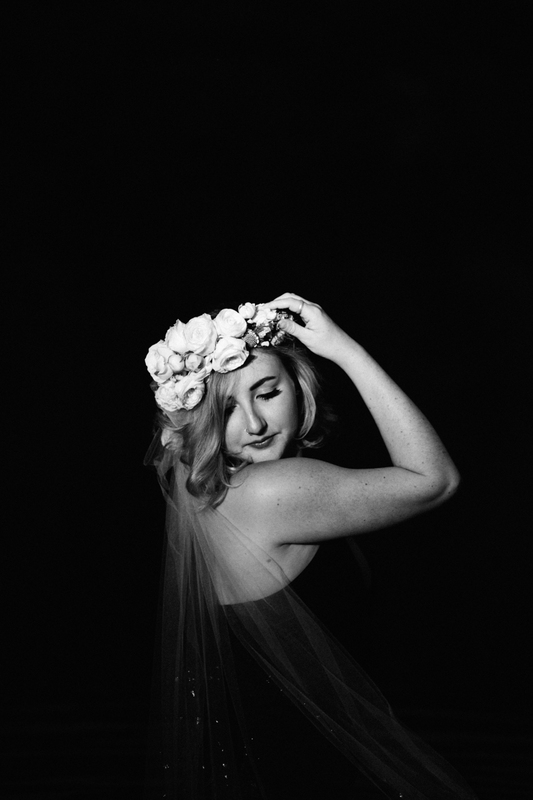 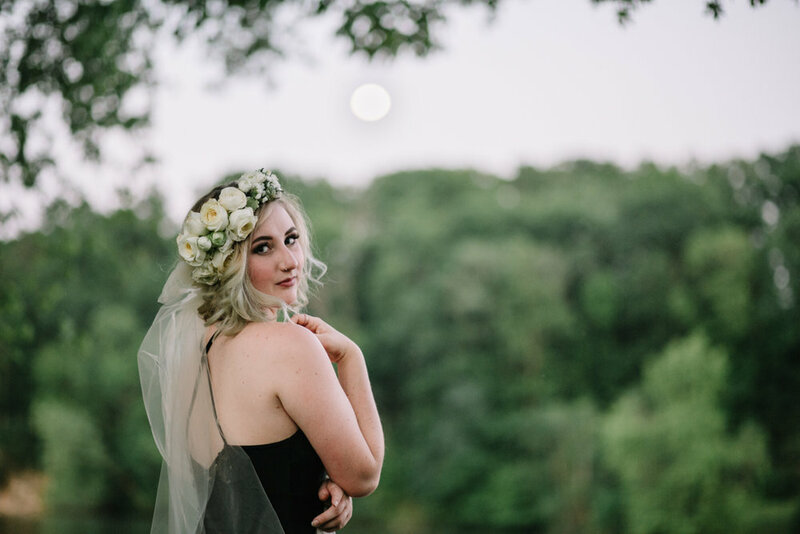 This boudoir session came together like something from A Midsummer Night's Dream! 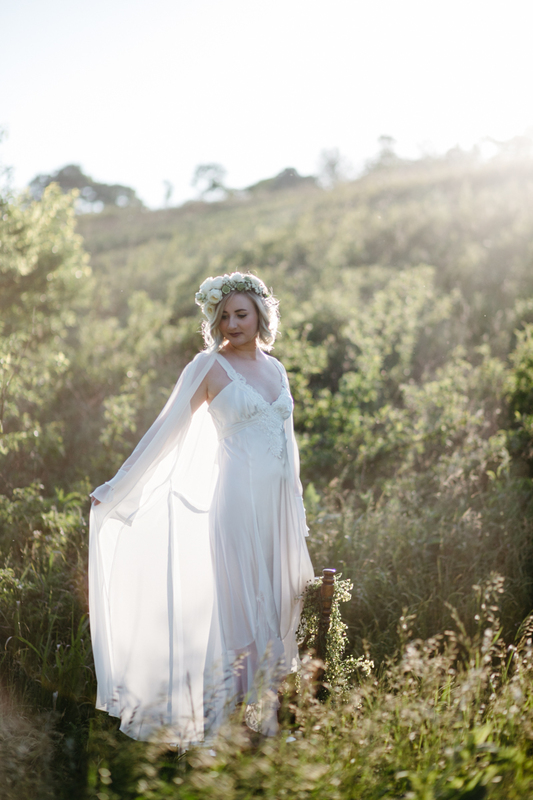 There's just something about the approach of summer that makes me want to shoot dreamy things in golden light. 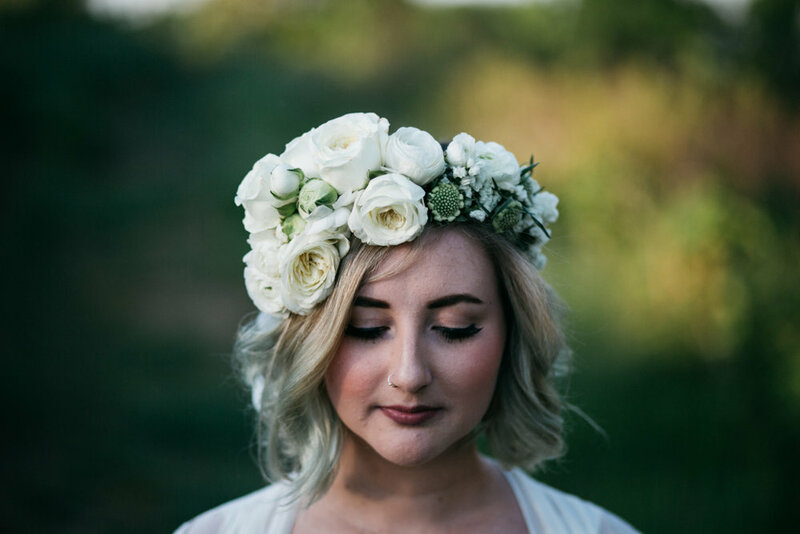 Bless Maddie for being an angel model who is willing to trek through fields and rivers for me, and bless Anna of Rose Moss Designs for piecing together this STUNNING crown.